Sen. Dianne Feinstein (D-CA) claims to have received a letter detailing salacious allegations against Supreme Court nominee Brett Kavanaugh and chose to withhold its contents from fellow Senate Judiciary Committee members and the public throughout his confirmation hearings. In a cryptic statement released Thursday, Feinstein purported to have received information from an individual regarding Kavanaugh and referred the matter to federal agents. “I have received information from an individual concerning the nomination of Brett Kavanaugh to the Supreme Court,” the senator’s statement reads. “That individual strongly requested confidentiality, declined to come forward or press the matter further, and I have honored that decision. I have, however, referred the matter to federal investigative authorities.” The individual “strongly requested” to remain anonymous, according to the California Democrat. According to The New York Times, officials with knowledge of the allegations say the “incident involved possible sexual misconduct between Judge Kavanaugh and a woman when they were both in high school.” A letter containing information regarding the alleged incident was initially received by Rep. Anna Eshoo (D-CA), whose office forwarded the document to Feinstein “this summer.” Fox News reports Feinstein was sent the letter in July — prior to the hearings’ September 4 start date. 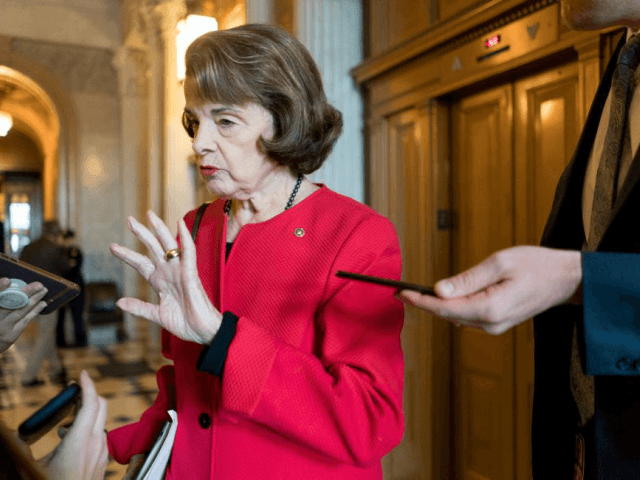 Feinstein only revealed the letter’s existence during a meeting with fellow Senate Judiciary Committee Democrats Wednesday evening. The Times reveals “several” Democrats have since urged Feinstein to relay the allegations to the Federal Bureau of Investigation (FBI). The Washington Post reports the bureau is not considering investigating the matter at this time. “According to a person familiar with the matter, the FBI does not now plan to launch a criminal investigation of the matter, which would normally be handled by local authorities, if it was within the statute of limitations,” the Post says. As Feinstein faces pressure to make the allegations public, various individuals familiar with the letter have told outlets differing accounts of the possible incident. “Different sources provided different accounts of the contents of the letter, and some of the sources said they themselves had heard different versions, but the one consistent theme was that it describes an incident involving Kavanaugh and a woman while they were in high school. Kept hidden, the letter is beginning to take on a life of its own,” writes The Intercept’s Ryan Grim. The unidentified woman has retained Debra Katz, a prominent civil rights lawyer who represents various #MeToo victims. Sen. Chuck Grassley’s (R-IA) office says speculation surrounding the letter will not prevent lawmakers from voting on Kavanaugh’s confirmation September 20. Republicans aim to have Kavanaugh on the Supreme Court by October 1.